I love a Disneyland vacation as much as anyone (okay, maybe a little more than just anyone). But a trip to see the Mouse in California can get expensive fast! My family nevertheless finds ways to make fairly frequent trips and still stick to a budget. Cheap hotel row on South Harbor Boulevard – we’ve frequented many of these and saved a bundle! As much as I love being immersed in Disney magic during my entire stay, the reality is that staying on-property in a Disney hotel can be very pricey. Paradise Pier and the Disneyland Hotel regularly have room rates that top $300 and the Grand Californian rates can even exceed $500 during peak periods. One of our favorite hotels is the Fairfield Inn Anaheim Resort on South Harbor Blvd. At Walt Disney World, paying the premium for a Disney-owned hotel often makes sense for the perks and the proximity, but those factors don’t weigh as heavily at Disneyland. In fact, some of the non-Disney hotels are just as close (if not closer) than several of the Disney ones. My family often stays in hotels across from the pedestrian plaza on South Harbor Boulevard. These are all within easy walking distance. There are numerous hotels just a bit further afield that are on the Anaheim Resort Transit shuttle system as well. Need some guidance about where to stay? Don’t miss my guide to Disneyland hotels with babies and toddlers. Ticket discounts are hard to come by for Disney destinations, and some of the discounters are outright scams. But if you are going for more than a single day visit, you should absolutely take advantage of discounts available from reputable resellers and travel agencies. I have a partnership with the largest seller of Disneyland vacations, Get Away Today, where you can buy any multi-day tickets or Disneyland vacation packages at a discount. Use promo code TYKES10 for an extra $10 off all package stays of 2 nights or more. 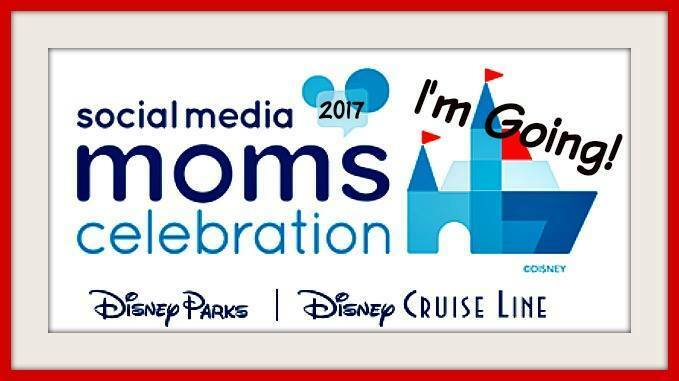 For families, those savings can really add up and allow you to treat yourself to a nicer meal or a few souvenirs with all the benefits of buying a ticket directly from Disney. What’s the catch? There really isn’t one. Dole Whip is a cheap snack that is great to share. There are so many ways to stretch your food dollars at Disneyland with a little pre-planning. Definitely bring snacks with you (especially for picky kids – no reason to waste money buying food they won’t eat). One strategy my family always uses is getting a cheap breakfast outside the park. Entering the park at rope drop is vitally important for beating the crowds at Disneyland anyway, so we never waste time with an expensive breakfast. Instead, grab a quick bite at or near your hotel to save both money and time (confession: we have been known to frequent the McDonalds on South Harbor Boulevard for just that purpose). Some of the non-Disney hotels in the area also offer free breakfast for even bigger savings. Skip the bottled water: Any counter service will give you a cup of water for free. Or just bring water bottles for everyone in your party and fill them up at water fountains all over the park. Order a kids meal: Adults can order off the kids menu at counter service restaurants with no questions asked. Giant turkey leg: Carnivores should take advantage of the best deal on food, pound for pound, at one of food carts that sell turkey legs. It’s about $10 meal that two adults (and maybe a kid or two) can easily share. Carts have not historically been in the same location, but near the Matterhorn and in Frontierland are good bets (and California Adventure always has at least one location). Flying in to a Los Angeles area airport? A car is NOT a necessity, particularly if you plan to spend most of your visit just at Disneyland. Most hotels in the Disney area charge a hefty parking fee that can often be even more than the daily rental rate of the car itself. If you are flying into the Orange County airport (SNA), I highly recommend just grabbing a cab particularly for a family of 3 or 4. Shuttles charge by the head and you’ll likely save money just paying the metered fare on a single taxi. Disneyland Express: $30 per adult each way ($48 RT) but up to 3 kids ride free with paying adult. Prime Time Shuttle: $15 per person each way. SuperShuttle: $17 per person each way. If you do need a car for a day or two to leave the Mouse bubble, you can always rent one at the Alamo location in Downtown Disney. So tempting and cute in the theme park shop, but cheaper to buy in advance! is obviously a good place for pre-trip purchasing as well. One insider trick that works well for my family to cut the cost of souvenirs: “Tinkerbell” visits our kids each night during our trip and leaves a little trinket (usually procured from the Target dollar section). When the kids are begging for us to buy something in the park, we just remind them that Tinkerbell brings plenty of gifts at night. That usually cuts down on the requests for souvenirs a lot! And the kids love the surprises each morning, which add to the magic on the cheap. Our own umbrella stroller from home was cheaper, more nimble, and easier to spot than the Disneyland ones. So many families rent Disney strollers during their visits and I’ve never really understood why. The Disney strollers are bulky and expensive. They all look alike, so it is hard to spot your stroller in a sea of sameness. Most importantly, however, Disney strollers have to stay IN the parks (and the esplanade between them), so you’ll be strollerless and stranded if you need to transport a cranky or napping toddler back to your hotel when you rent from the parks. If you don’t want to travel with your own stroller, consider shipping a cheap one ahead to your hotel or rent one from a stroller rental service for more convenience and a better price. The most well-known and well-reviewed option in Anaheim is City Stroller Rentals which charges $35 for 1-3 day City Mini rental. Double strollers are available as well as other baby gear you might need. Right around 3 is a magical age to take young children to Disneyland. But it isn’t so magical on their third birthday when you have to buy them a child ticket (which isn’t that much of a discount off of full adult prices). If you want to take a Disneyland trip when your little ones are still little, time it just before the crucial third birthday and your child will be free. What are your favorite strategies for saving money at Disneyland? Share your tips in the comments. We actually rented a stroller last time- and here’s why. My youngest is 5 and I ditched our cheap-o 2 years ago. I decided to rent one to use as our “locker” throughout the day (they even let us bring in a huge hard sided cooler that we put in the seat… we were told they might not let us in with it but we got lucky). We kept the stroller in one spot all day and then I used it at night for her to sit in during the parade. When it was dark and we were ready to leave, we used it to wheel her out to the main entrance and called it good. Totally worked for us and I’d do it again. I think it’s a great option for older kids who might want a stroller at the end of a long day or a kid who may need one here and there.